Nvidia has unveiled the Jetson Nano, a new $100 AI computer that delivers 472 GFLOPS of computing performance for running AI workloads, and is power-efficient, consuming as little as 5 watts. Nvidia CEO Jensen Huang unveiled the device at the on-going GPU Technology Conference, where the company also announced a self-driving collaboration with Toyota. 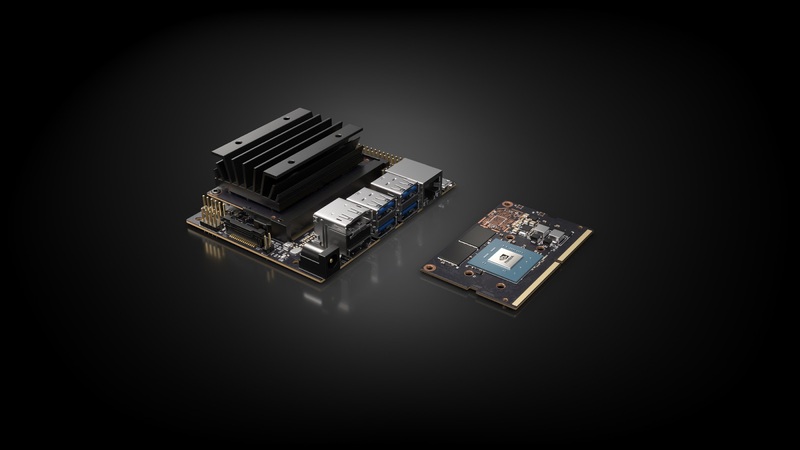 The Jetson Nano actually comes in two versions - a $100 devkit for developers and a $130 production ready module for companies looking to utilize it to create mass-market systems. Nvidia says it can run several neural networks on each sensor stream, process many sensors in parallel and support high-resolution sensors and many popular AI frameworks. It'll begin shipping in June, and will be sold via Nvidia's global distributors.